Features precision laser-cut parts with board and batten roofing, a small sidewalk and lots of colorful signs. 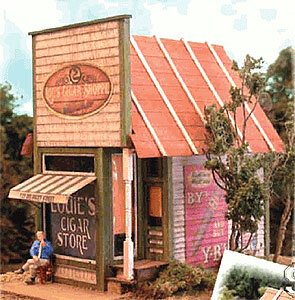 This quick-to-build kit has a small footprint so it's easy to place on your layout. Copy this Papa Lou's Cigar Shoppe to your MY ACCESSORIES roster.